I remember the first time Twitter had an actual impact on my life, rather than just acting as a meaningless platform for me to vent and comment. Ironically, it was during one of my venting sessions. After moving to a new apartment, I was having trouble understanding why there was money owed on the cable bill from my previous apartment. I complained about my previous cable provider for making my life needlessly difficult in an innocuous tweet. Shortly thereafter a representative from the company contacted me and offered to help clear up my conundrum, which he ultimately did. This kind of customer service floored me. I didn’t expect it at all. Going the extra step and appealing to consumers, while tapping into their concerns in this way, is the kind of phenomenon that’s starting to occur in healthcare, and one hopes will become even more frequent as providers and payers implement social media business strategies. In a recent conversation I had with John Edwards, director of the healthcare strategy and business intelligence practice at PricewaterhouseCoopers (PwC), he talked about how social media can improve patient experiences and drive engagement for providers, payers, and pharmaceutical companies. 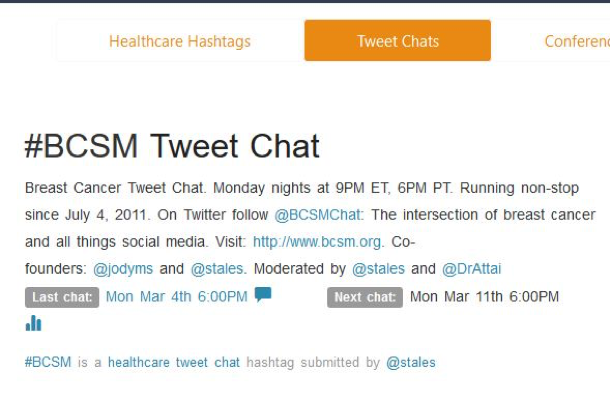 Patient engagement in healthcare-based social media is on the rise. According to a recent study from PwC’s Health Research Institute, 40 percent of consumers say they have used social media to find health-related consumer reviews. Twenty-five percent have "posted" about their health experience; and 20 percent have joined a health forum or community. Forty-one percent of the respondents said social media would affect their choice of a specific doctor, hospital or medical facility. Forty-five percent said it would affect their decision to get a second opinion. There is obviously growing interest from patients in using social media platforms, whether it’s Facebook, Twitter or a patient-based community site like Patients Like Me, to share and engage in their experiences. Several organizations are trying to lead the way with their own social media initiatives. On the provider side, Edwards cites the example of a 24-hospital health system based out of Dallas, Texas Health Resources, which developed internal and external social media platforms, used by Texas Health employees and patients. The internal system allows for knowledge sharing, innovation, and communication across their wide spectrum, while the external platform allows for patients to create communities and find legitimate medical information. On the payer side, Edwards used an example of a young adult who had bought an individual insurance policy, received the first bill, and tweeted angrily something along the lines of saying they had made a big mistake. Within the day, just like the cable provider representative had gotten back to me, the payer company had a customer call center reach out, educate the person on their benefits, and help them understand what they were confused about. Later that day, the young adult tweeted about the company positively. These two companies are the exception, rather than the rule. In our conversation, Edwards said the majority of providers and payers look at social media merely as a marketing tool and nothing more. For the PwC survey, the group surveyed 124 members of the eHealth Initiative (eHI), which includes providers, payers, and pharmaceutical organizations. Of those eHI members, even though more than 80 percent surveyed had some kind of social media presence, only a small percent had it fully integrated across the board. This, Edwards says, has to change. Providers have to listen and engage through social media. He’s not the only one who sees the benefits. I spoke with Deloitte’s (New York) senior advisor for healthcare transformation and technology, Harry Greenspun, M.D., in a two-part interview series on mHealth. We broached the subject of the impact social media on healthcare. Greenspun said he hopes to see social media, and that above interest by the patients in using social media as a way to find, create, and discover health-related reviews, used for understanding patients’ experience with real clinical measures. “What we need to move towards is a simple way for people to understand the cost and quality of their care,” he said. The truth is providers, payers, and other healthcare stakeholders are the ones who can and should be leading the charge on this front.